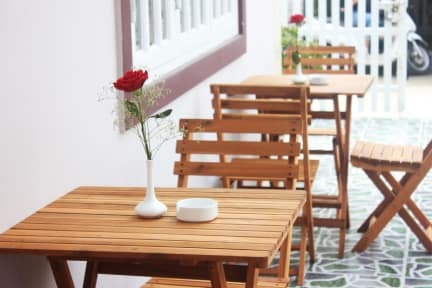 Our friendly hostel is perfectly located on a quiet street, away from the traffic and noise but only 200 meters from one of Da Lat’s many busy markets. Situated near many food stalls, restaurants and shops. It is only a 15 minutes walk to the centre, Xuan Huong lake and many other tourist attractions. We offer private, triple and dorm room accommodation in our famous tree house bunk beds. With hot showers, towels, free WIFI, common area, free breakfast and even a communal guitar, we will make sure that you want for nothing in your stay. Make sure to enjoy Hanna’s delicious home cooked family dinner with plenty of different Vietnamese dishes, it is a great opportunity to try new food and meet the other guests. This is often followed by activities such as drinking games, bar crawl or Karaoke. One of the best hostels I have ever stayed in. The owners are very nice and helpful people, as well as the staff. You get a great breakfast and at some point during the week there is a family dinner, which I can recommend, simply because the food is great and there is heaps of it. All in all it's perfect for people who like a clean and quiet hostel with the kindest people I've met so far here in Vietnam. Would recommend to stay here! Simon and Hannah were exceptionally helpful with regards to organising tours/busses/scooter hire. A lovely touch is they provide a family dinner every other day cooked by Hannah - it was delicious! Absolutely loved my stay with Simon and Hannah. 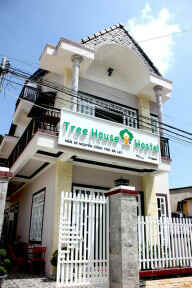 All the staff are so lovely, the beds are comfortable and the hostel is clean and in a good location. I arrived at 3am and despite the fact that check in should be much later during the day Simon showed me to my bed and let me sleep. Hannah and the other staff cooked us dinner on my second night which was really nice and a good way to meet others in the hostel. I really could not fault my stay at all, I felt so at home here. Fantastic place, the rooms are clean and nice, the owner and his family are extremely friendly and helpful. The best hostel in Vietnam so far. Really nice hostel! The host has got loads of tips to do around Da Lat and the staff were super friendly! A bit out of the centre but nothing a little walk can’t solve! Would recommend! Our group had a great stay with Simon and Hannah! The hostel family dinner is a definite highlight. Hostel was very clean and walking distance to the centre. Will happily stay there again if I'm ever back in Dakar.